Contact our expert team and find out how we can boost your long-term value for an incredibly affordable cost. Concrete is porous. If we had the eyes to see it, concrete would look like a sponge. 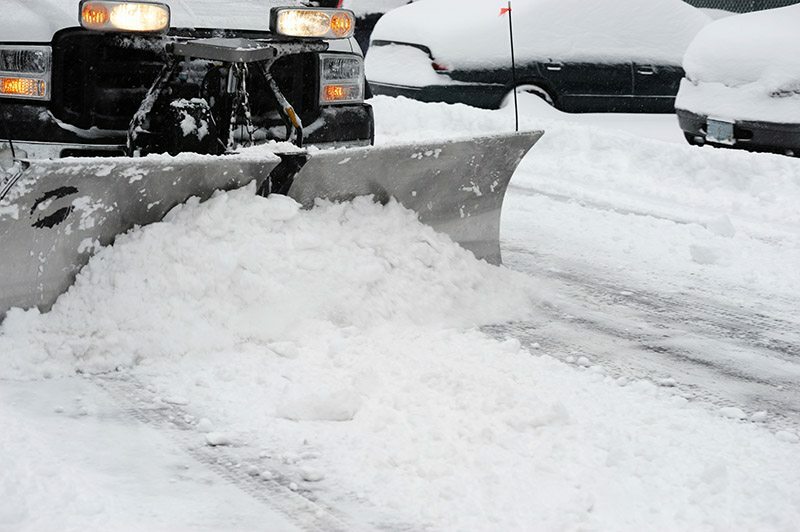 Oils, grease, and even chewing gum produce stains that are absorbed into concrete. The longer these sit on concrete, the deeper the stain seeps in. One can pressure wash with hot water, and scrub in degreaser, and while this will pull some oils and resins up, the deeply absorbed stains which are no longer on the surface will remain to varying degrees. 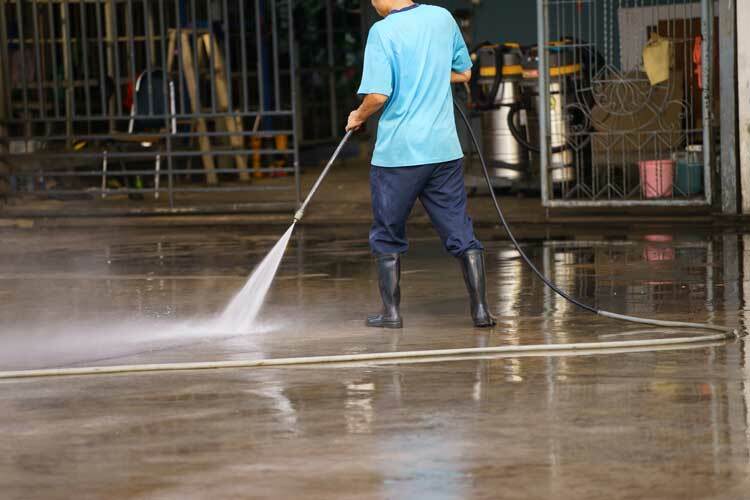 It is important to pressure wash on a regular basis so that stains do not become permanent. Concrete represents both a huge investment as well as an important image to every property. Dirty stained concrete makes for a lesser image for the property and results in greater acts of disrespect towards the property. Be sure that you protect windows from mineral deposits. Generally, this problem occurs when lawn sprinklers directly spray the glass. Prevention is much more economical than remedies. If the damage has been done already, it looks like white spots on the glass. Our advice is to pay attention to how water is affecting your glass and respond quickly to issues. Make changes which stop the problem and get those mineral deposits removed as soon as possible, while it is still easy to do. "Quality, integrity, & value" - that's our motto. We are constantly striving to improve and hold ourselves to a high standard of excellence. Your parking lot is one of the first things that your clients see - make sure that you are broadcasting a good first impression. 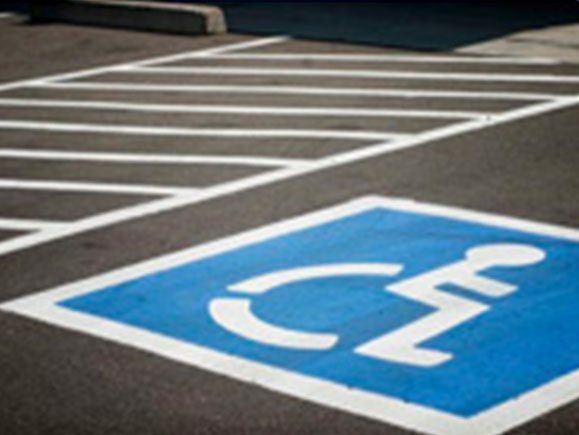 We provide re-striping services that meet ADA Compliance guidelines. 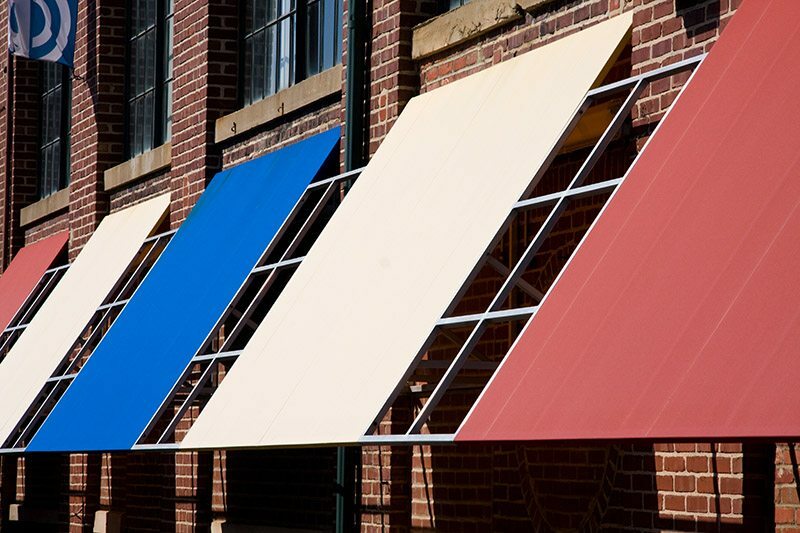 Awnings are typically either made of a canvas type or a vinyl type of fabric. Canvas fabrics don't like dirt, which gets into the fabric's pores and shortens the potential life of the awnings. Vinyl types of fabrics don't like the sun, which dries out the fabric and making it more susceptible to cracks and tears. At Budget Building Services, we will gently scrub awnings and we will apply products which rejuvenate vinyl awning fabric. The keys are to perform these processes frequently enough to prevent premature aging of the fabrics. While every situation is unique, in general, we believe that services once every three months have allowed the awnings which we service to last many years and still look great. Get more, spend less. 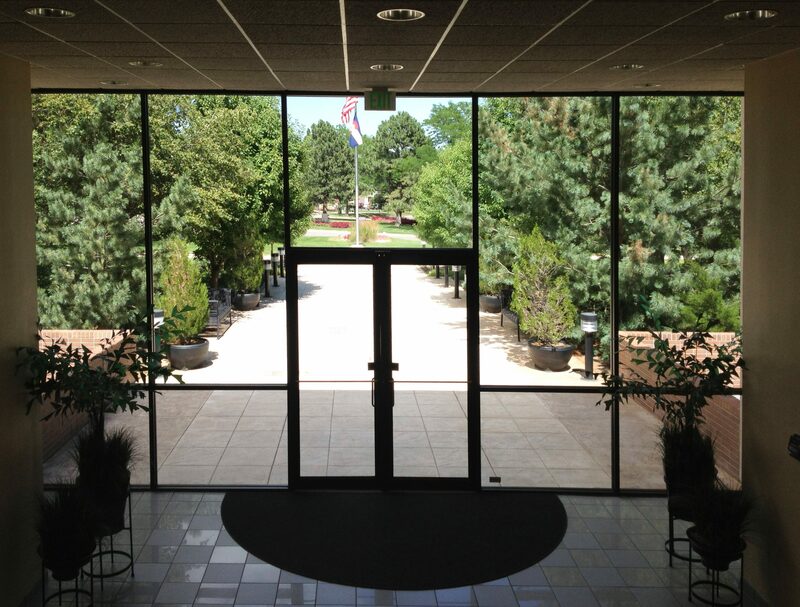 Keep your building maintenance in check with our pressure washing, window cleaning, parking lot services, and more!